Misko rises from the mystic roots in which it dwells. 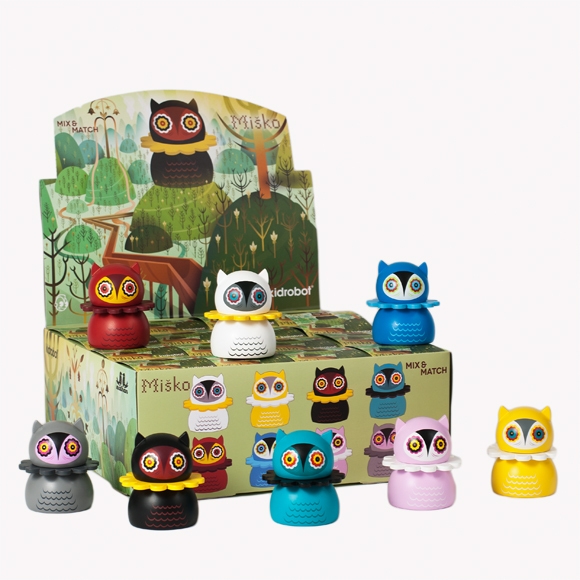 Inspired by the ancient folk tales of Nathan Jurevicius‘ Lithuanian roots, the Misko Mini Series figures are the first Kidrobot toys fabricated from wood. 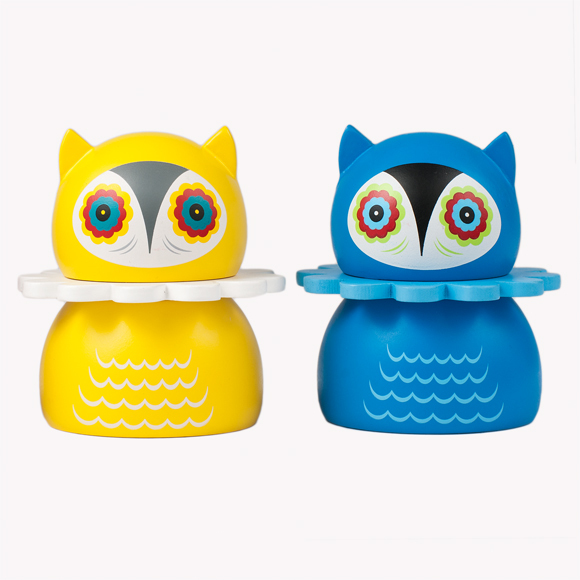 With interchangeable heads and neck plumage that can be mixed and matched, these spirits of the forest embody sacred owls fashioned from 2.5 inches of vividly painted Super Schima. Round and solid, they are a spectacular species identified by their scalloped collars, pointed ears, and 8 color variations: Grey, Yellow, Teal, White, Red, Pink, Black, and Blue. 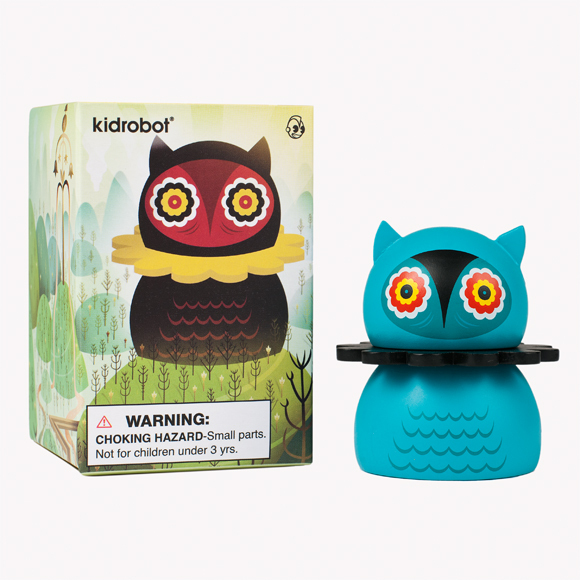 Blind and beautiful to behold, they land May 24 at Kidrobot stores, kidrobot.com, and select retailers for $9.95 per figure.